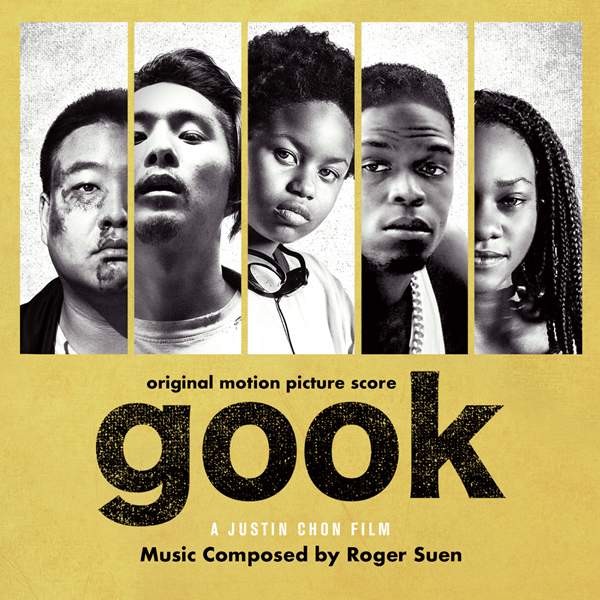 Notefornote Music, in collaboration with El Cap Productions and Trugroove, is proud to announce the CD release of Roger Suen's score to the 2017 Sundance Next Audience Award winning film, Gook. The film is written and directed by Justin Chon, who is also one of the stars, and features a great cast of David So, Simone Baker, Curtiss Cook, Jr. and Ben Munoz. Eli (Justin Chon) and Daniel (David So), two Korean American brothers, own their late father’s struggling shoe store in a predominantly African American community of Los Angeles. These two brothers strike up a unique and unlikely friendship with an 11-year-old African American girl, Kamilla (Simone Baker). Kamilla ditches school, Eli stresses about the store, and Daniel tries to have a good time. It's just another typical day at the store as Daniel dreams of becoming a recording artist and Eli struggles to keep the store afloat until the Rodney King verdict is read and racial tensions build to a breaking point in L.A. as the 1992 Los Angeles Riots break out. With the chaos moving towards them, the trio is forced to defend the store while contemplating the future of their own personal dreams and the true meaning of family. Roger Suen's effective and melodic score underlines all the tension in the film. At the time of this writing, the film is enjoying a 93% Tomatometer on Rotten Tomatoes and an 88% positive from fans who have seen the film. About Roger Suen: A Southern California native, Roger Suen studied music composition at the undergraduate and graduate levels at UCLA and CSUN. He is now a prolific film composer, residing in Los Angeles. Roger’s work exemplifies both breadth and depth. Through a mastery of orchestral composition and modern electronica, his music creates the heart-pounding scores of such action films as X-Men: Apocalypse, Maze Runner: The Scorch Trials, X-Men: Days of Future Past, and Netflix’s Daredevil, while also excelling at a diverse array of genres. Suen writes for the unique requirements of epic video game scoring—including recent work on EA’s 2017 Mass Effect: Andromeda and an upcoming title from Marvel & Sony Interactive Entertainment—as well as comedy and drama. His versatility is apparent in the 2015 comedies The Nice Guys(starring Russell Crowe and Ryan Gosling) and The Ridiculous 6 (with Adam Sandler and Luke Wilson). Suen’s compositions seamlessly navigate groovy funk, Copland-esq Americana, and wild banjo pickings, all without missing a beat, to underscore the films’ hilarious misadventures. Recently, Roger collaborated on a highly-anticipated Netflix & Marvel Original Series. The mini-series features an action-packed orchestral score infused with authentic Japanese kabuki and taiko drumming. 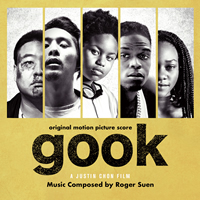 Likewise, Suen scored the 2017 Sundance award-winning film, Gook. A powerful drama, which explores race relations during the 1992 LA Riots, demonstrates an intimately atypical ensemble of solo instruments, embodying the sensitivity with which Roger tackles social and cultural issues in his work. When he is not composing, Roger can be found surfing in front of his Manhattan Beach studio or climbing the granite cliffs of the Sierras. His free-climbing resume includes the West Face of El Capitan, the Regular Northwest Route of Half Dome, and the Yosemite test pieces: The Rostrum and Astroman.